The Fourth Doctor appeared in 172 episodes of Doctor Who. This incarnation is generally regarded as the most recognisable of the Doctors and one of the most popular, especially in the United States. The Fourth Doctor Vol 1 centers on one of the most beloved Doctor's among fans, which was played by Tom Baker between 1974 and 1981. 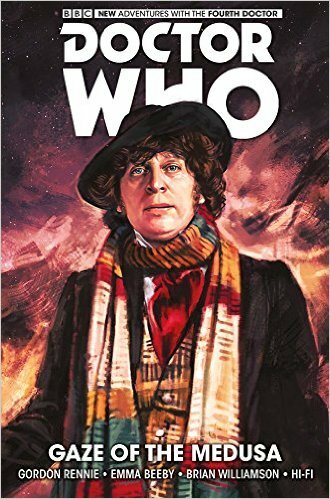 Adding to the impressive range of Titan Comics Doctor Who graphic novels, The Fourth Doctor promises thrills and surprises for Whovians everywhere and is a must-have addition for fans of the franchise. Collects issues 1-5 of Doctor Who: The Fourth Doctor.